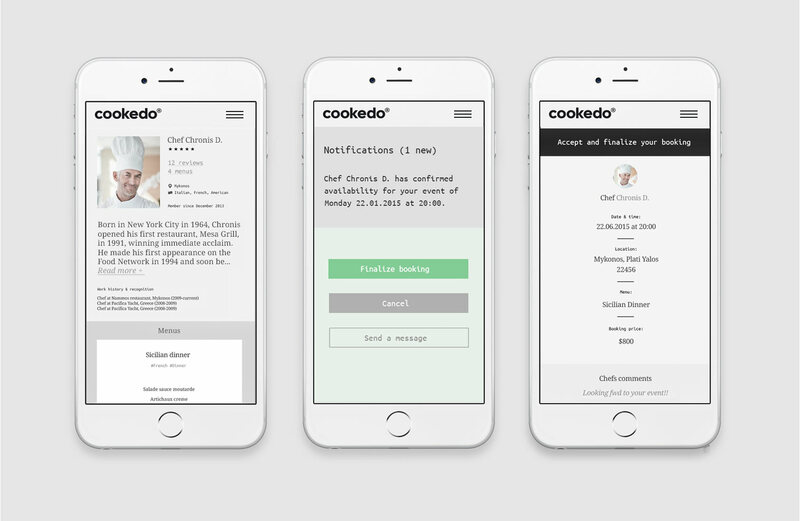 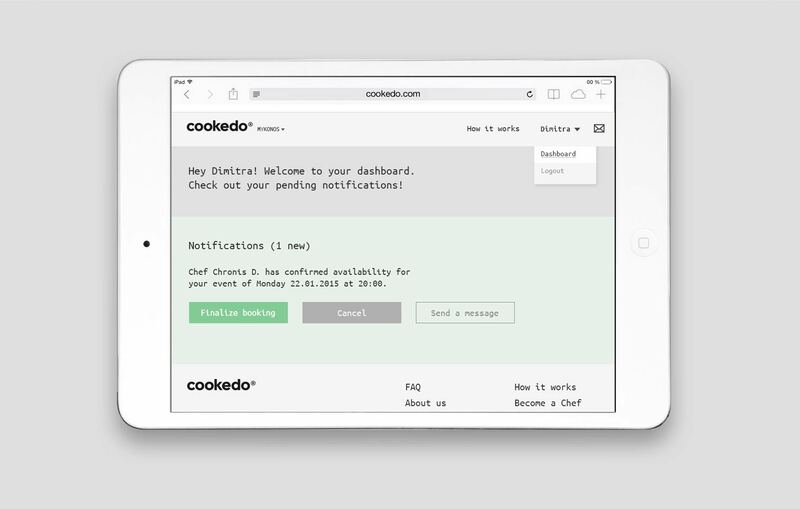 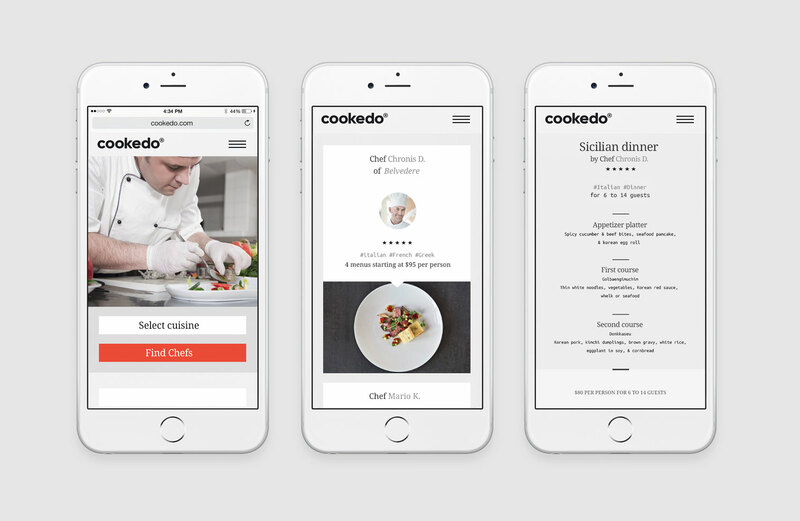 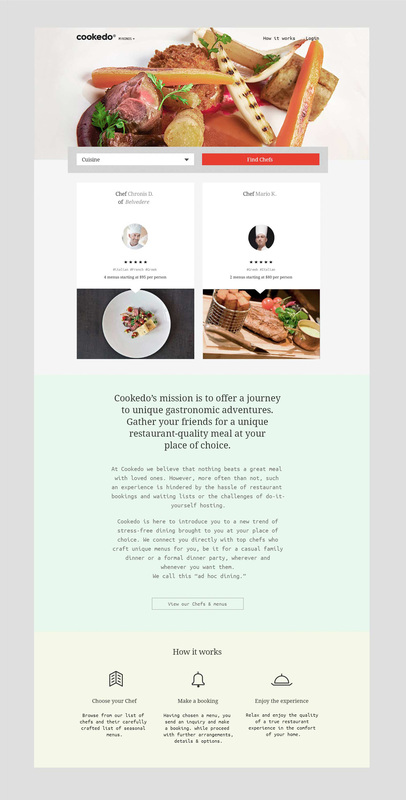 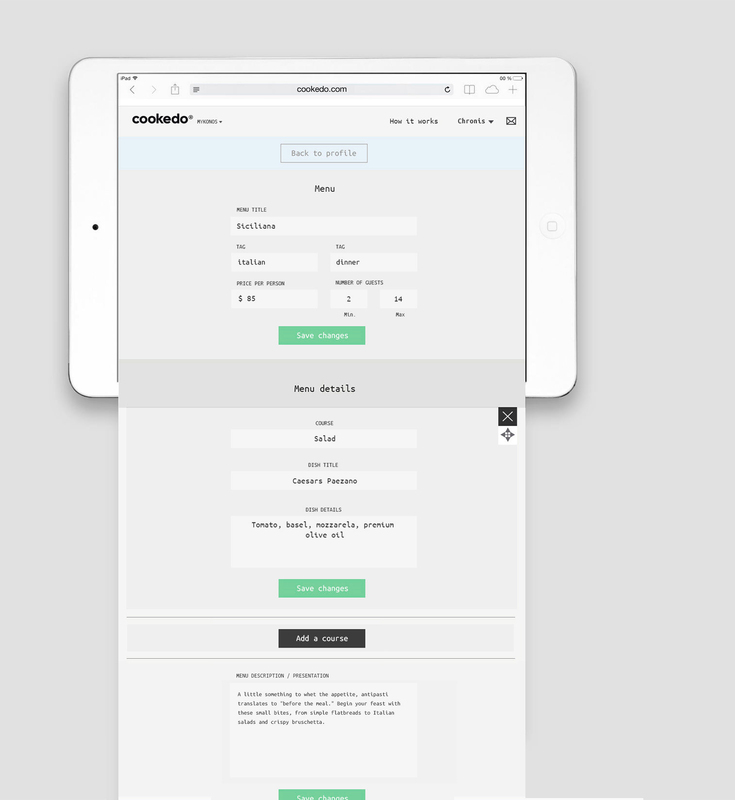 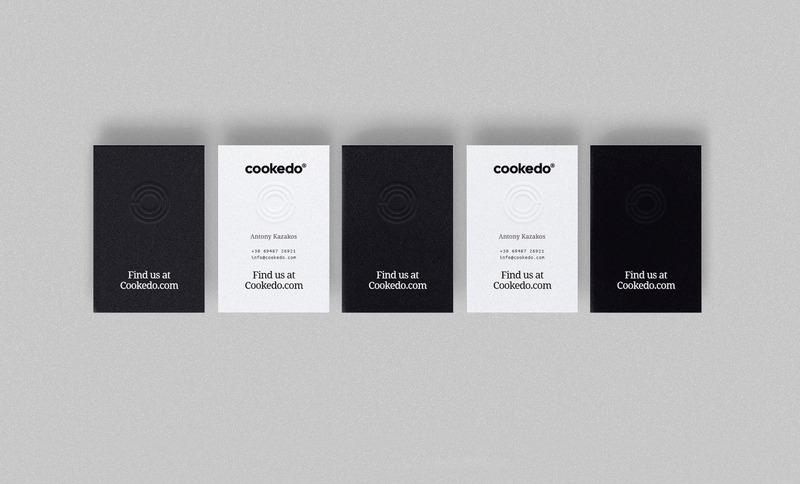 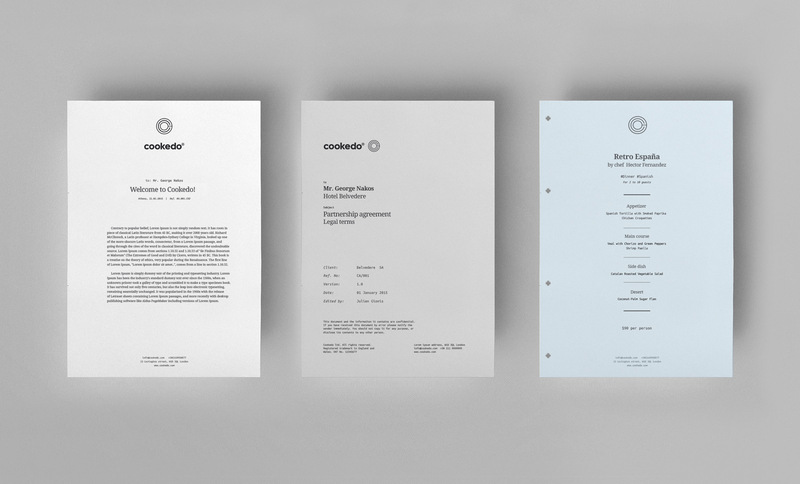 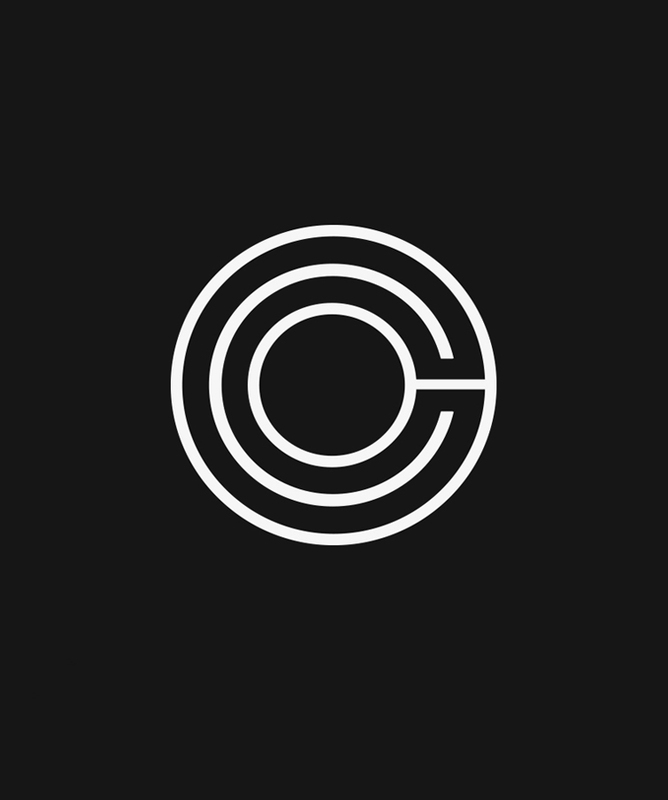 Cookedo is a Greek platform website connecting hosts to top personal chefs who craft unique menus to be cooked at your place of choice, be it for a casual family dinner or a formal dinner party. 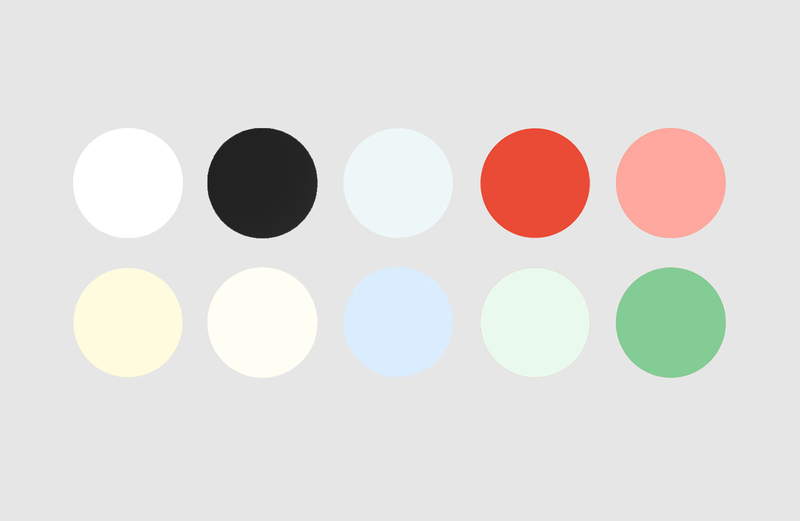 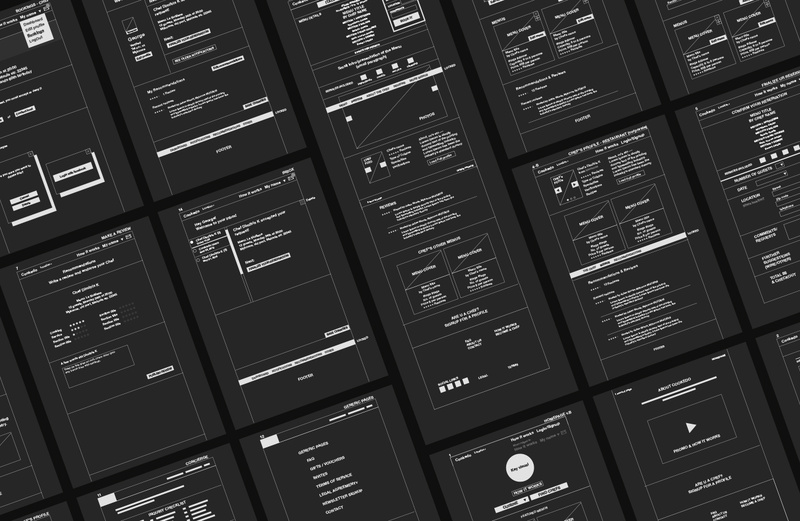 We designed the visual identity along the wireframes and user interface of this mobile optimized website. 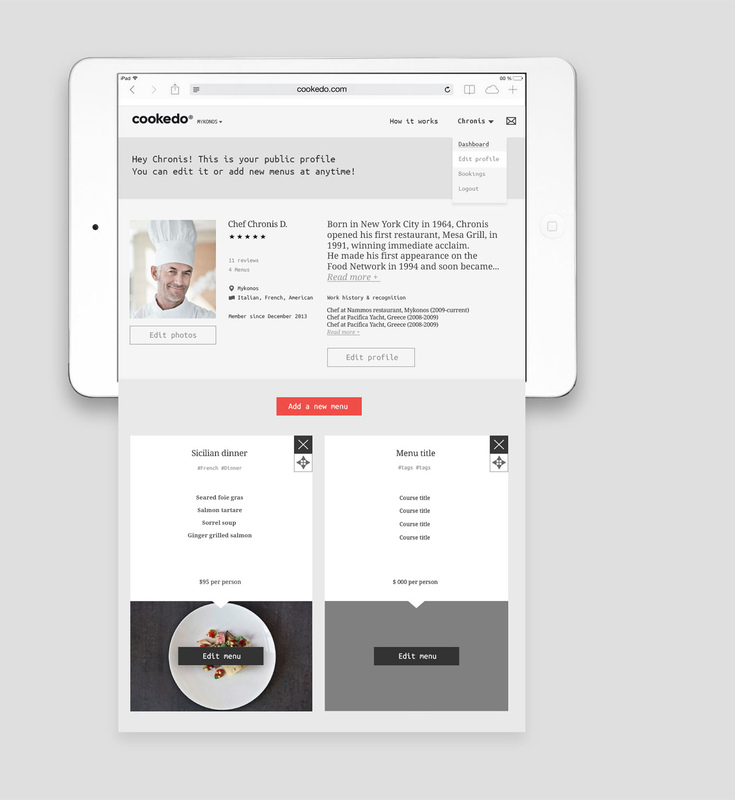 As a registered chef, the website allows you to build and edit a public profile which includes basic information & work experience, a portfolio of menus & courses, and a calendar to manage inquiries and schedule bookings. 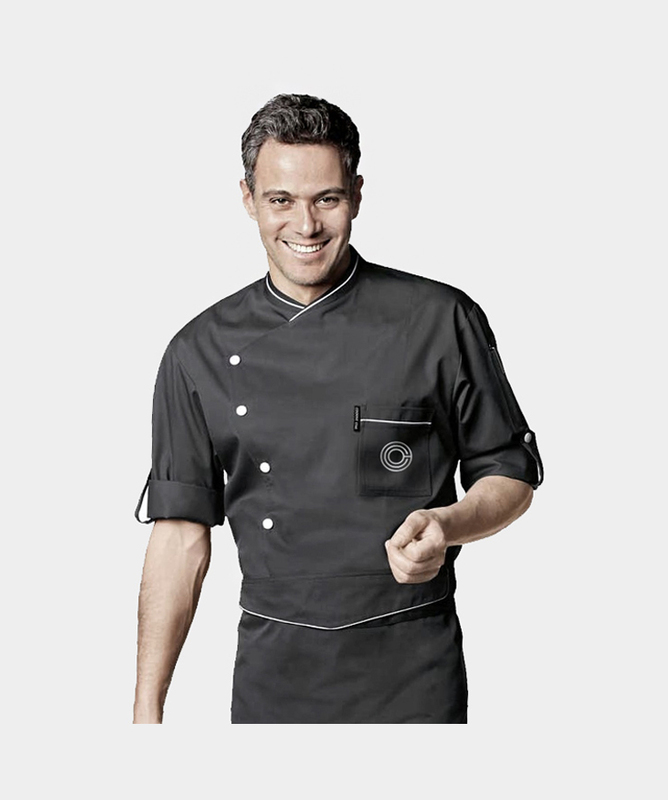 As a host you get to do detailed inquiries and reservations, proceed to secure payments and as well rate the chef & experience after the event.